are guaranteed to be featured Cleric items! Forget those Cleric Stickers at home! 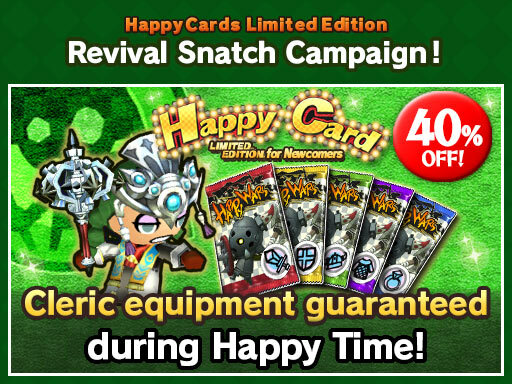 This week, at least 1 Super Premium Cleric item is guaranteed during Happy Time in Happy Cards Limited Edition! 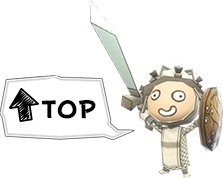 These items were specially selected for their performance in various modes including Colosseum, Quick Match and more! It doesn’t matter if you’re a grizzled veteran or a fresh newcomer, this lineup is perfect for anyone who loves to support their allies on the battlefield! That’s not all! This week, Happy Cards Limited Edition is a whopping 40％ off! You won’t find a better opportunity to outfit your favorite Cleric or Engineer! *Class stickers cannot be used during this campaign. *This campaign features items released between August 2017 and July 2018.